I’m such a sucker for holidays and the traditions that go along with them. I definitely drive my family crazy with the jam packed calendars that I try to fill with everything I can to get the most out of the season. Yep, I definitely annoy them, but oh, well, they will thank me later, right? 😉 I’m also always on the hunt for new traditions that I can add to my list. Crazy, yes. Festive, absolutely. 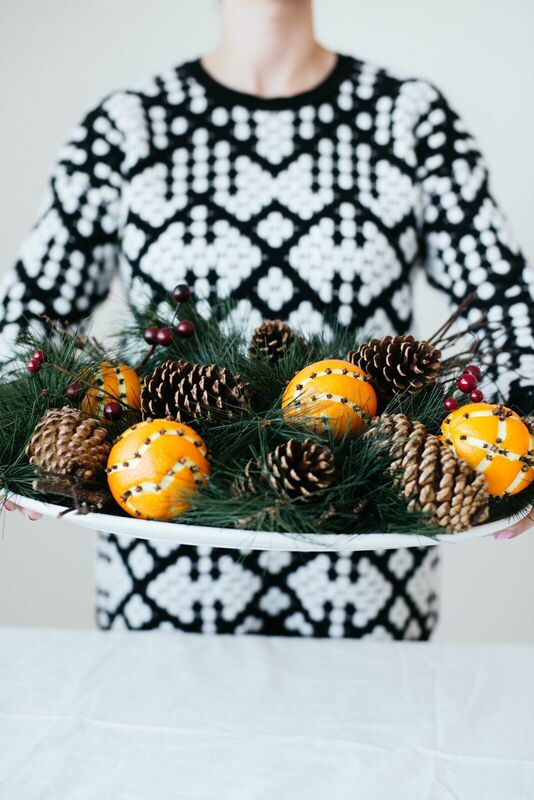 One of those things that I’ve recently discovered is orange clove pomanders. They are so pretty and I never really realized how easy they were to make, until this year! I’m always looking for simple ways to dress up my home for the holidays and I wanted to create a fun focal point and centerpiece for my table that is going to last for the whole season. Don’t get me wrong, I love fresh flowers, but after a week or so, they usually loose their luster and I wanted something to last until New Years! Once I found out how fast and easy the pomanders were to make, today’s post was born. 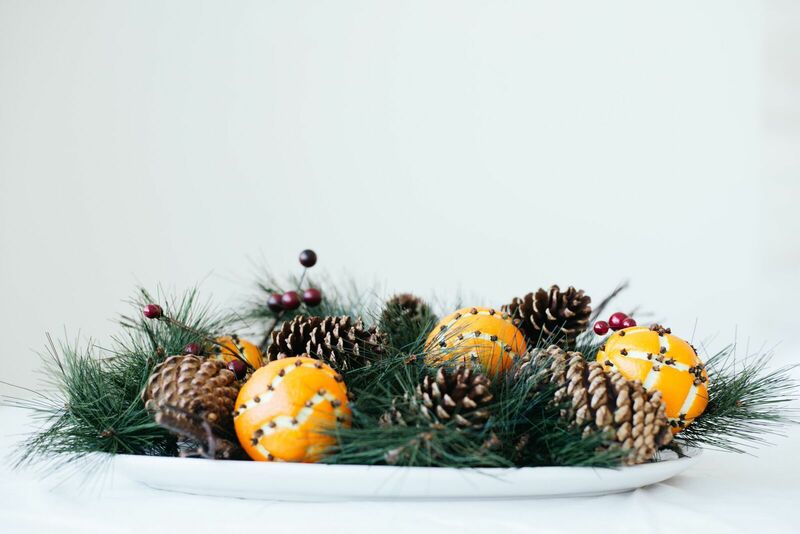 I paired some fake greenery, oranges, and a few pine cones together and created an orange clove pomander centerpiece that is the perfect holiday treat for my table, and I did it for about $12. Not too shabby and it’s pretty gorgeous if you ask me.